ANNOUNCER: This is ReachMD. 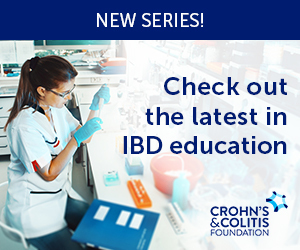 Welcome to this medical industry feature titled “The Evolution of Biomarker-Based Treatment in Metastatic Colorectal Cancer,” sponsored by Amgen. This program is intended for physicians. DR. JOHN RUSSELL: I’m your host, Dr. John Russell. Joining me today are Dr. Philip Philip and Dr. Kurt Tauer. Dr. Philip is a medical oncologist and a professor of oncology and pharmacology at the Karmanos Cancer Institute. Dr. Tauer is a medical oncologist at the West Cancer Center and an associate professor in the Department of Hematology/Oncology, the University of Tennessee Health Science Center. Today, we will be talking about biomarker-driven treatment approaches to metastatic colorectal cancer. So, Dr. Philip, Dr. Tauer, welcome to the program. DR. PHILIP PHILIP: Thank you. DR. JOHN RUSSELL: So, starting with you, Dr. Tauer, why is a personalized targeted therapy so important for the first-line treatment of metastatic colorectal cancer? DR. JOHN RUSSELL: So, Dr. Philip, what are your thoughts on personalized targeted therapy? DR. JOHN RUSSELL: Now what exactly is RAS, and what is its role in metastatic colorectal cancer? Dr. Tauer, can you give us an overview? DR. JOHN RUSSELL: So, Dr. Philip, could you tell us how the evolution of our understanding and appreciation of RAS testing has impacted your treatment decisions? DR. JOHN RUSSELL: For those who are just joining us, this is ReachMD. I’m your host, Dr. John Russell, and I have the pleasure of speaking with our guests, Dr. Philip Philip and Dr. Kurt Tauer, on the topic of biomarker-driven treatment of patients with metastatic colorectal cancer. So, Dr. Philip, earlier you spoke about how the understanding and appreciation of RAS testing came to be. Now can you tell me how you’re applying this to the patients that you’re seeing in your office every day, and the treatment decisions you make for your patients with colorectal cancer? DR. PHILIP PHILIP: Sure. 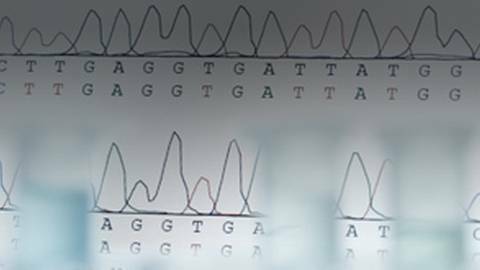 These trials with Vectibix® established the importance of upfront testing—in this case, genomic testing. In fact, if you look at the (NCCN Clinical Practice Guidelines in Oncology for Colon Cancer) NCCN Guidelines®, they recommend that all patients with metastatic colorectal cancer should have their tumors tested for the KRAS and NRAS mutations, and that any patients with mutations of these genes should not be treated with anti-EGFR therapy.10,11 At my own institution, the pathology lab will routinely perform extended RAS testing on samples from metastatic colorectal cancer, and if for some reason the oncologist doesn’t check the box on the request form, the pathologist will call to double-check and see why it wasn’t checked. DR. JOHN RUSSELL: So, Dr. Tauer—so RAS biomarker testing, how has that impacted your practice and your treatment decisions? Additionally, in an exploratory subgroup analysis, overall survival was shorter in patients with RAS-­mutant metastatic colorectal cancer who received Vectibix® and FOLFOX versus FOLFOX alone. DR. KURT TAUER: Infusion reactions, manifesting as fever, chills, dyspnea, bronchospasm, and hypotension, can occur following Vectibix® administration. Fatal infusion reactions occurred in postmarketing experience. Terminate the infusion for severe infusion reactions. DR. PHILIP PHILIP: Fatal and nonfatal cases of interstitial lung disease and pulmonary fibrosis have been observed in patients with Vectibix®. DR. JOHN RUSSELL: Well, with that description of the Vectibix® safety profile, I’d like to thank Dr. Philip and Dr. Tauer for joining me today to discuss the biomarker-driven treatment of patients with metastatic colorectal cancer for our ReachMD audience. DR. KURT TAUER: Thank you, and thanks for giving us the opportunity. DR. PHILIP PHILIP: And thank you very much for having us. ANNOUNCER: The preceding program was brought to you by Amgen. This was ReachMD. Be part of the knowledge. References: 1. 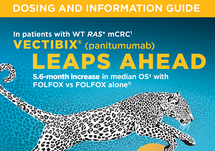 Vectibix® (panitumumab) prescribing information, Amgen. 2. Avastin® (bevacizumab) prescribing information, Genentech. 3. Mahipal A, Grothey A. Role of biologics in first-line treatment of colorectal cancer. J Oncol Pract. 2016;12(12):1219-1229. 4. King GT, Lieu CH, Messersmith WA. 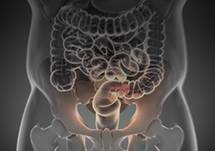 Frontline strategies for metastatic colorectal cancer: new sides to the story. Am J Hematol Oncol. 2016;12(10):4-11. 5. Diamandis M, White NMA, Yousef GM. Personalized medicine: marking a new epoch in cancer patient management. Mol Cancer Res. 2010;8(9):1175-1187. 6. Douillard J-Y, Oliner KS, Siena S, et al. Panitumumab—FOLFOX4 treatment and RAS mutations in colorectal cancer. N Engl J Med. 2013;369(11):1023-1034. 7. 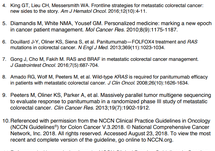 Gong J, Cho M, Fakih M. RAS and BRAF in metastatic colorectal cancer management. J Gastrointest Oncol. 2016;7(5):687-704. 8. Amado RG, Wolf M, Peeters M, et al. Wild-type KRAS is required for panitumumab efficacy in patients with metastatic colorectal cancer. J Clin Oncol. 2008;26(10):1626-1634. 9. Peeters M, Oliner KS, Parker A, et al. Massively parallel tumor multigene sequencing to evaluate response to panitumumab in a randomized phase III study of metastatic colorectal cancer. Clin Cancer Res. 2013;19(7):1902-1912. 10. Referenced with permission from the NCCN Clinical Practice Guidelines in Oncology (NCCN Guidelines®) for Colon Cancer V.3.2018. © National Comprehensive Cancer Network, Inc. 2018. All rights reserved. Accessed August 23, 2018. To view the most recent and complete version of the guideline, go online to NCCN.org. 11. Referenced with permission from the NCCN Clinical Practice Guidelines in Oncology (NCCN Guidelines®) for Rectal Cancer V.3.2018. © National Comprehensive Cancer Network, Inc. 2018. All rights reserved. Accessed August 23, 2018. To view the most recent and complete version of the guideline, go online to NCCN.org. When your patients are diagnosed with metastatic colorectal cancer (mCRC), how does biomarker status impact treatment options? When your patients are diagnosed with metastatic colorectal cancer (mCRC), how does biomarker status impact treatment options? Join Dr. John Russell as he hosts a discussion with Dr. Philip Philip, medical oncologist and Professor at the Karmanos Cancer Institute, and Dr. Kurt Tauer, medical oncologist at the West Cancer Center and Associate Professor at the University of Tennessee Health Science Center, on the importance of biomarker identification in mCRC and how it can help determine appropriate treatment options. 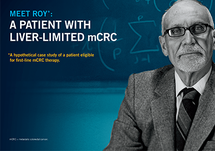 Interested in learning more about extended RAS testing and its role in the first-­line treatment of mCRC? Visit Vectibix.com. Retrospective subset analyses across several randomized clinical trials were conducted to investigate the role of RAS mutations on the clinical effects of anti-­EGFR-­directed monoclonal antibodies (panitumumab or cetuximab). Anti-­EGFR antibodies in patients with tumors containing RAS mutations resulted in exposing those patients to anti-­EGFR-related adverse reactions without clinical benefit from these agents. Additionally, in Study 20050203, 272 patients with RAS-­mutant mCRC tumors received Vectibix® in combination with FOLFOX and 276 patients received FOLFOX alone. In an exploratory subgroup analysis, OS was shorter (HR = 1.21, 95% CI: 1.01-­1.45) in patients with RAS-mutant mCRC who received Vectibix® and FOLFOX versus FOLFOX alone. References: 1. Allegra CJ, Rumble RB, Hamilton SR, et al. Extended RAS gene mutation testing in metastatic colorectal carcinoma to predict response to anti-epidermal growth factor receptor monocolonal antibody therapy: American Society of Clinical Oncology provisional clinical opinion update 2015. J Clin Oncol. 2016;34(2):179-185. 2. Benson AB, Venook AP, Bekaii-Saab T, et al. Colon cancer version 3.2014. J Natl Compr Canc Netw. 2014;12(7):1028-1059. 3. Douillard J-Y, Oliner KS, Siena S, et al. Panitumumab-FOLFOX4 treatment and RAS mutations in colorectal cancer. N Engl J Med. 2013;369(11):1023-1034. 4. Referenced with permission from the NCCN Clinical Practice Guidelines in Oncology (NCCN Guidelines®) for Colon Cancer V.3.2018. © National Comprehensive Cancer Network, Inc 2018. All rights reserved. Accessed August 23, 2018. To view the most recent and complete version of the guideline, go online to NCCN.org. 5. Referenced with permission from the NCCN Clinical Practice Guidelines in Oncology (NCCN Guidelines®) for Rectal Cancer V.3.2018. © National Comprehensive Cancer Network, Inc 2018. All rights reserved. Accessed August 23, 2018. To view the most recent and complete version of the guideline, go online to NCCN.org.